The position of hotel and the baths. Nice place very clean and every detail treated with care. Hotel room, very clean. Everything was perfect. Fully equipped apartment. Direct access to the spa via tunnel. Great Hamam spa. The best thing was the underground garage and a passage to Therme. The personal was wery kind, the Hotel was already payed mit Paypal and I couldn't arrive on the date I have booked. So, I've called the Reception and they told me to come the next day when I manage, there is no problem for the Hotel and we are very welcome. The room where I slept was not so much luxury but the beds and the comfort was best. I will surely visit them again. 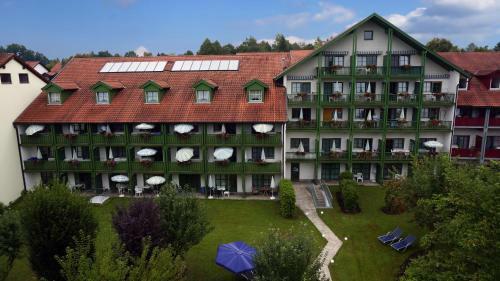 Very friendly staff,nice place of pleassure city and tunnel to the therme. Nice location, kind staff, good price/quality. Underground parking with access to apartments and to Therme. Beautiful backyard and surroundigs. Extra comfortable bed. Beautiful surroundings, staff was very helpful and put the key of the room in a lockbox outside due to late arrival. Lots of facilities around. You can easily spend a longer vacation here. It was a nice and relaxing place to stay. The thermal baths have been updated and were very good as were the local restruants we visited. Clean and well furnished apartment, very helpful staff, who helped me to extend my stay, after an unforeseen event. 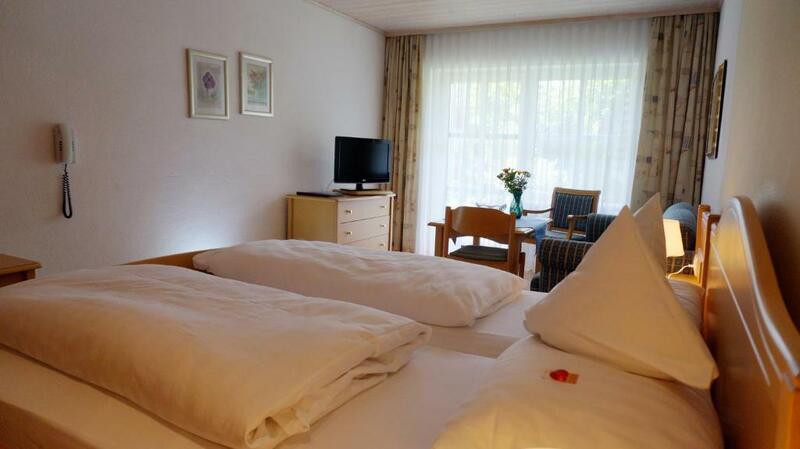 Lock in a great price for Sonnleiten-Rupert – rated 8.5 by recent guests! Sonnleiten-Rupert This rating is a reflection of how the property compares to the industry standard when it comes to price, facilities and services available. It's based on a self-evaluation by the property. Use this rating to help choose your stay! One of our top picks in Bad Griesbach.Located beside the spa gardens and the pedestrian zone in Bad Griesbach, these peaceful apartments and holiday flats offer spa facilities, bicycle rentals and free Wi-Fi. 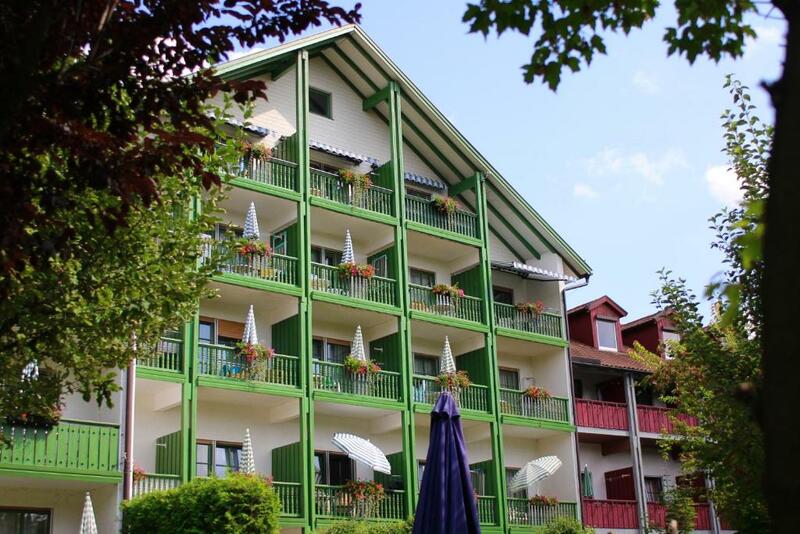 The Sonnleiten-Rupert offers modern apartments with free Wi-Fi and a fully equipped kitchen. 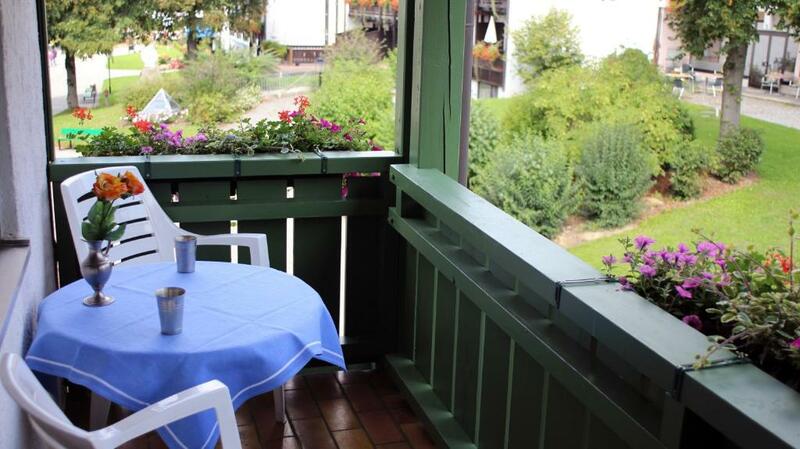 The majority also feature a balcony or terrace, while breakfast can be ordered and is served in the room. From their apartment, guests can walk along a heated pathway directly to the spa area. Guests can rent bathrobes at the accommodations (charges apply) and also enjoy reduced rates at the Bad Griesbach thermal baths. 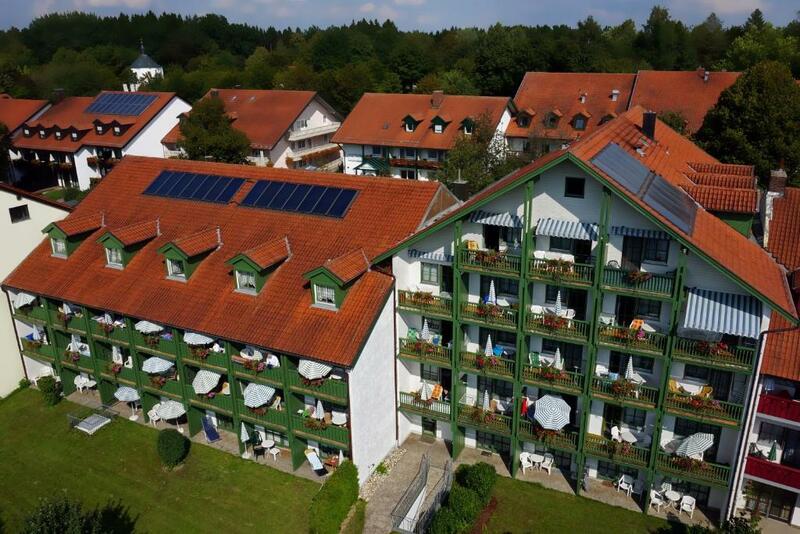 Bad Griesbach offers a variety of sports and leisure opportunities, including a golf resort, tennis, hot-air balloon rides and mini golf. There is a high ropes course nearby, and 93 mi of Nordic walking and hiking trails. The Sonnleiten-Rupert also offers physiotherapy services. 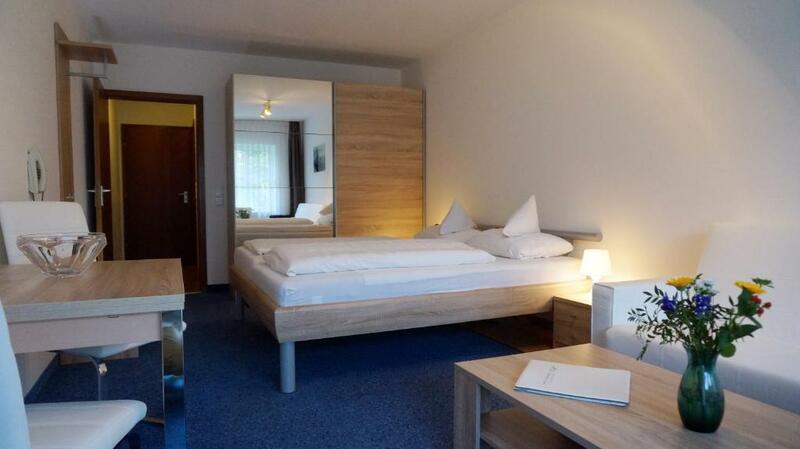 This property is also rated for the best value in Bad Griesbach! Guests are getting more for their money when compared to other properties in this city. When would you like to stay at Sonnleiten-Rupert? Bright apartment with a small seating area, telephone and radio. Offers either a balcony or patio. 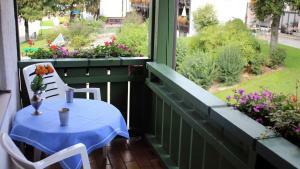 Bright holiday flat with a small seating area, telephone and radio. Consists of 2 separate bedrooms, a large living room, a fully equipped kitchen and a private bathroom. House Rules Sonnleiten-Rupert takes special requests – add in the next step! Sonnleiten-Rupert accepts these cards and reserves the right to temporarily hold an amount prior to arrival. In case of late arrival, please contact the hotel in advance. Your keys will be placed in a key box and can be retrieved with a code. On Sundays and public holidays, the reception is open from 13:00 until 16:00. Guests arriving outside of normal reception hours are asked to contact the hotel in advance to arrange key pick-up from the accommodations's key safe. The hotel offers underground parking (see Hotel Policies). Almost impossible to find garage without local staff. We came to property after reception working hours. Short instruction from owner by mail was "find garage up the street". I spent 40 minutes to find it. I think I'm not so stupid, but need more detailed instruction, may be some pictures or map. Also we can't got wifi login and password. My letter to host was without answer. 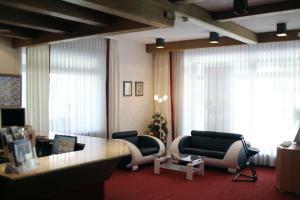 Cosy appartment with all equipment you need. The room was near the elevator and noisy because of it and neighbour's children. There was a free entrance to Therme included, but I found out that I was charged it on checking out. Half of the property was being renovated and we had no idea. It was dark and empty when we arrived. Didn’t have contact with anyone else while we were there. We had paid for 6 people and there was only bedding for 4. It was very cold and we couldn’t get the apartments to warm up. Clean, hot showers, good price. with my late arrival it was not very easy to find the location, but the staff was helpful. No soap in the bathroom. There was a big guidebook on the dinner table of the room, only thing missing was the WiFi connection code. The room needs a facelift, especially the carpet. There were non of the basics such as salt, pepper or sugar or cleaning materials for washing up which we normally find in a self catering apartment.